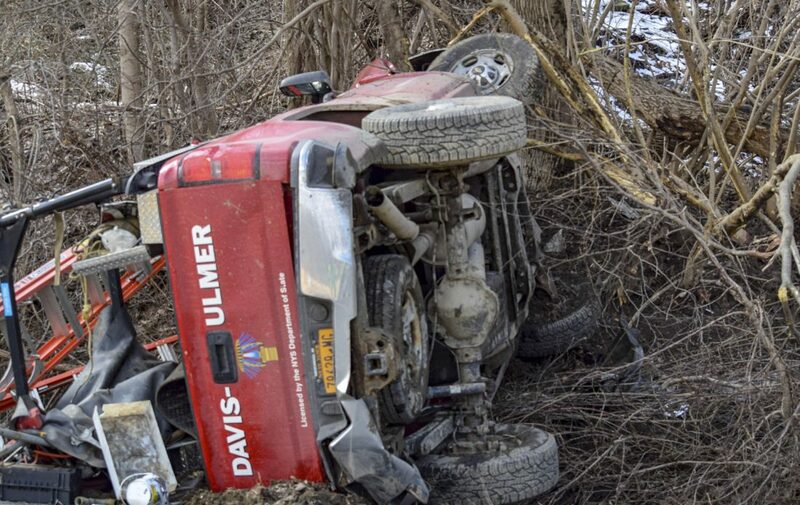 Today at approximately 2:22 p.m., Chautauqua County Sheriff Deputies responded to S. Stockton Cassadaga Road in the town of Stockton for the report of a motor vehicle rollover. The driver of the vehicle was identified as Michael Myles, 46, of Jamestown. Deputies said Myles fell asleep which caused him to drive off the roadway striking a ditch culvert. He was then transported via ambulance to UMPC-Hamot for treatment of minor injuries. Deputies were assisted by the Stockton and Cassadaga fire departments.